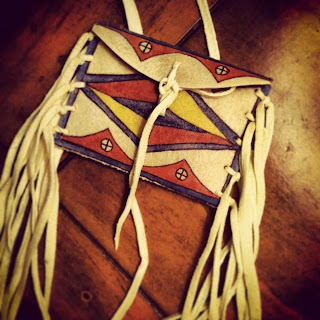 BEYOND BUCKSKIN: Announcing Beyond Buckskin... for the Home! Announcing Beyond Buckskin... for the Home! I am very excited to announce Beyond Buckskin's latest venture: creating a small section of our fashion boutique for some stylish items for the home! While Beyond Buckskin will continue to focus on promoting and supporting a Native American fashion movement with creative Indigenous minds at the core, this new project keeps our smart and stylish artists on center stage while highlighting their other artforms, such as colorful prints for your walls or earthy dishware for your tables. This new section will serve as an extension of living a fashionable life, infused with a different and unique way of thinking about and looking at the world around us. This new venture is also a first step in a long term goal of promoting and selling Native American art for the home that goes beyond the expected. Let's surround ourselves with items made by Indigenous artists. Let's surround ourselves in beauty. More details to come in December! I'm so excited to hear about this!